Happy Saturday! The weekend is here. Although here the sun is out, it is still quite cool. So I cannot wait for the warm weather. While browsing my affiliate sites today I came across such a cool idea from Beau-coup. 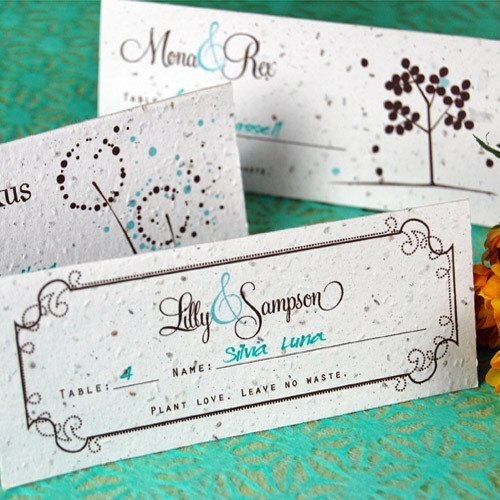 They have seed cards that you can get personalized for your event, then your guests take them home and plant them. 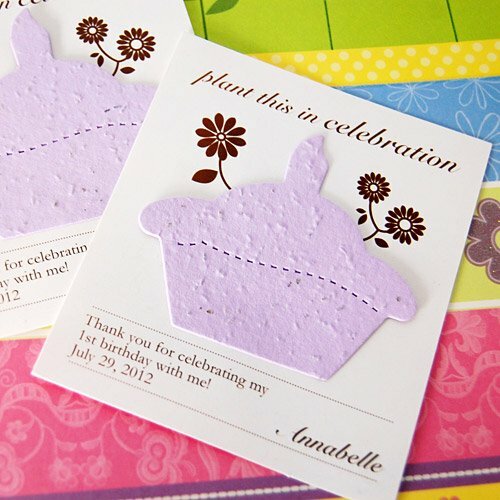 There are seeds infused in the card and they have instructions on how to plan them. 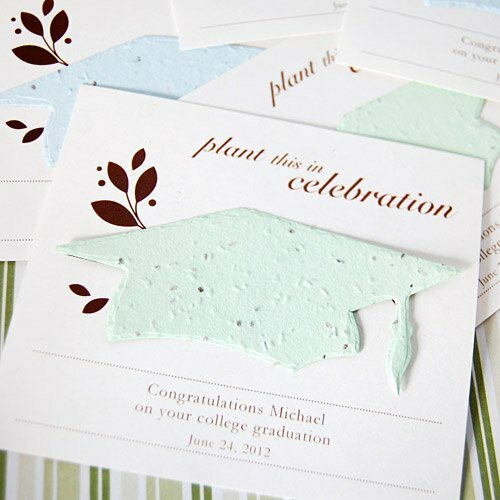 I am loving this ideas because it is environmentally friendly and gives your guests a little something extra. 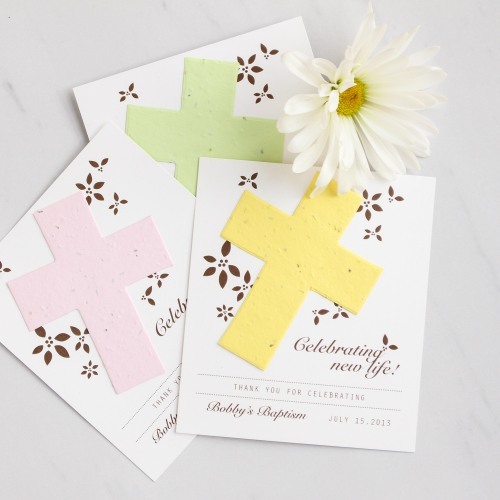 These would be so great for a garden party bridal shower or baby shower. 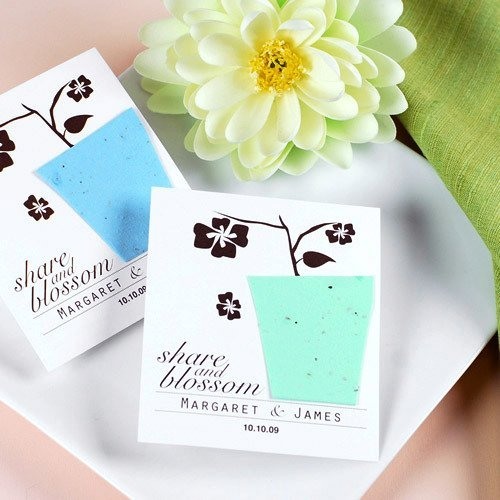 Check out these Plantable Seed Cards below and click on your favorite. Being a proud Beau-coup affiliate, I may be compensated by them for your purchase.